First up, a gentleman named Mr Terrific. Michael Holt is African American, atheist and a genius. He took on the mantle of Mr Terrific in 1997 (the first Mr Terrific was a white guy named Terry Sloane). he has invented 'T-Spheres' which can do practically anything - renders Holt invisible to technology and allow him to fly, collect and transmit information, create holograms, release electrical charges and so on. As Mr Terrific, Holt is a member of the Justice Society of America, the precursors to the more famous Justice League who now train up the young heroes of tomorrow. He has also been in the Checkmate series, the secret government agency running the Suicide Squad. 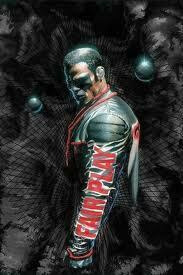 To read about Mr Terrific, you have three different series to choose from. You can try Bill Willingham's JSA: Volume 1: Axis of Evil and Volume 2: The Bad Seed. You can try Greg Rucka's Checkmate, (and also get to read about the amazing Amanda Waller): Volume 1: Outsiders/Checkmate (a crossover with the Outsiders series, this is the first in the series but may not have much Mr Terrific in), Volume 2: Fall of the Wall, Volume 3: Kings Game, Volume 4: Pawn Breaks. From September, DC Comics are relaunching their comics and Mr Terrific is getting his own series. The issues will come out monthly and be priced at $2.99 (American) or about £2.20 (Sterling). You will also be able to buy digital copies on the same day the hardcopy is released. 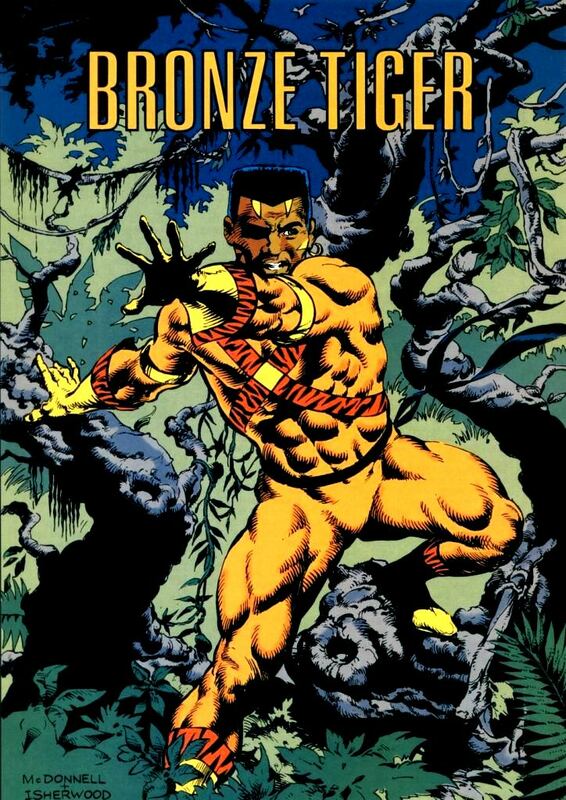 Next up is Bronze Tiger. His civilian name is Ben Turner and he possess no superhuman powers but is a superb martial artist. Although growing up in an affluent area he had a bit of a rough childhood as he defended his parents from a burglar attack, using a knife. As he grew older he turned to crime. He is now somewhere between the good and the bad, as he works for Amanda Waller's Suicide Squad, a superhuman task force working for the government, often on quite shady missions. He has also been a member of the Justice league Task Force with better known heroes such as Green Arrow, Black Canary, Martian Manhunter and Flash. However if you want to read about him I would suggest starting with John Ostrander's Suicide Squad, which we reviewed here. 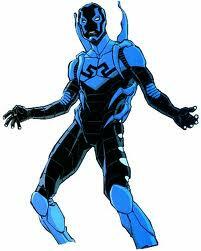 Blue Beetle, ahh, young Jamie Reyes! Jamie is Hispanic and fell into the Blue Beetle identity when he found an ancient scarab which later attached itself to his spine, and now he has instant armour and weaponry whenever he needs it. Jamie is funny, outgoing, still in high school, sometimes awed by the greater heroes he mixes with, and generally ridiculously good fun to read about. I believe a version of Jaime appeared in Smallville season 10, with Booster Gold. This representation is a mix up of canon, as Booster is more usually paired with Ted Kord. On that note..
Don't confuse Reyes with Ted Kord or Dan Garret. These are still good characters but are older white men who previously had the Blue Beetle identity. Like Mr Terrific, Blue Beetle is also getting his own series in September. His issues will also be available digitally on the day of release. 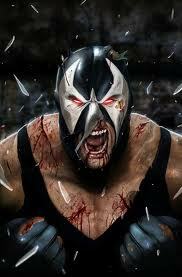 Lastly we have Bane, a Latino Batman villain, born and raised in Peña Dura ("Hard Rock") prison. He is best known for breaking Batman's back during the Knightfall story arc. He is immensely strong and most importantly here, not stupid. He has recently been introduced into the Secret Six series. Secret Six is about a group of villains who form sort of anti hero types. They aren't pleasant, but they are real people. It's a dirty, dark series with a lot of black humour and is what they call a fan favourite. We wrote a review of the first book in the series here (not including Bane). To read about Bane, try the Knightfall series in Knightfall part 1: Broken Bat, Knightfall part 2: Who Rules the Night and Knightfall part 3: Knightsend. Or you could try Secret Six, start with Unhinged and continue with Depths, Danse Macabre, Cat's in the Cradle, The Reptile Brain. Bane will also be appearing in the new Batman film - The Dark Knight Rises. I'm excited about it. We talked about DC Comics relaunching their entire range of titles in September. The good news is that there will be more characters of colour leading titles. To see the full range of books they are doing you can browse through their comics here. Click on a date to bring up the comics out that month, then if you hover over a title the cover will be shown. Click on the title to read the blurb for each book. Just don't look at Suicide Squad, please.